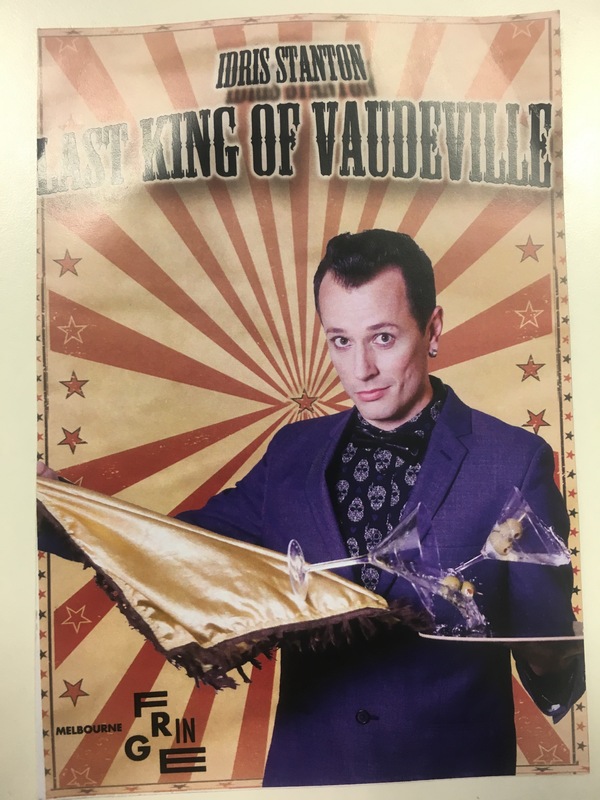 Idris Stanton is the self proclaimed Last King of Vaudeville – and after watching his show at the Melbourne Fringe Festival I believe it! 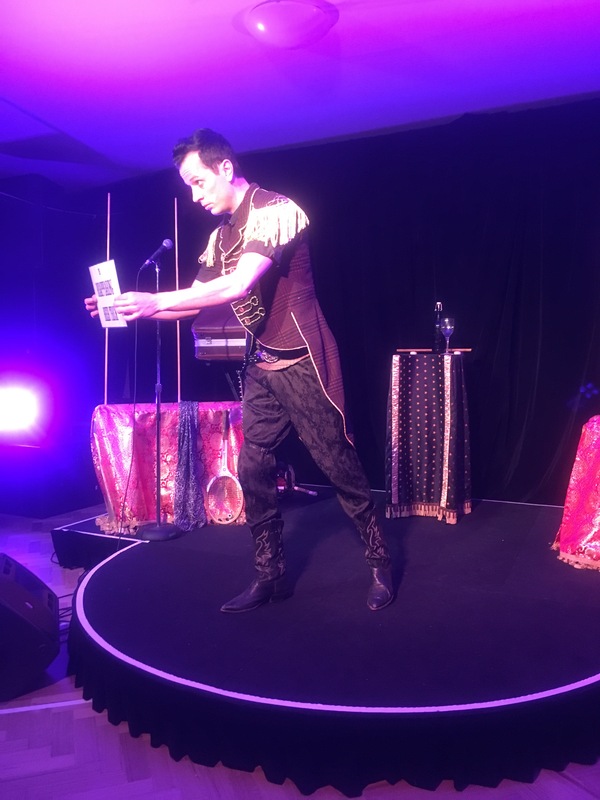 Tucked away in the “Underground” theatre of the North Melbourne arts house with the audience clustered around cabaret tables, Idris presented his show with much style and flair. 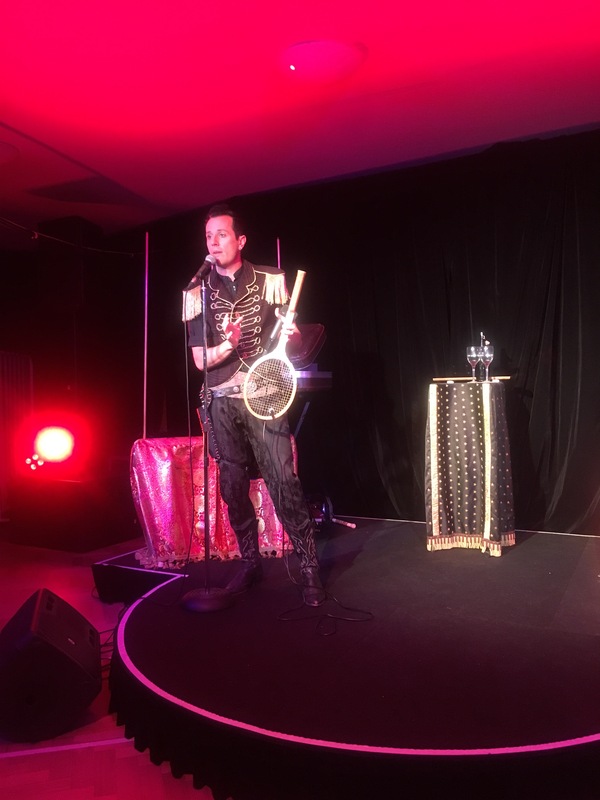 Dressed in an ensemble that perhaps indicated that he had been to many places or had been involved in many kinds of performances, Idris appeared on stage with a chainsaw – much to a mixture of delight / horror / surprise of audience members! I will leave you to discover for yourself exactly what happens with the chainsaw, however it was one hell of a show opener. Very attention grabbing and had many audience members (including myself) on the edge of our seats. Nothing like some danger to shake the audience out of the everyday and get their hearts pounding! Idris went on to describe vaudeville as ‘easily digestible snippets of entertainment’ and that’s exactly what his show was (not forgetting some dangerous, hilarious and exciting elements of his show of course!). 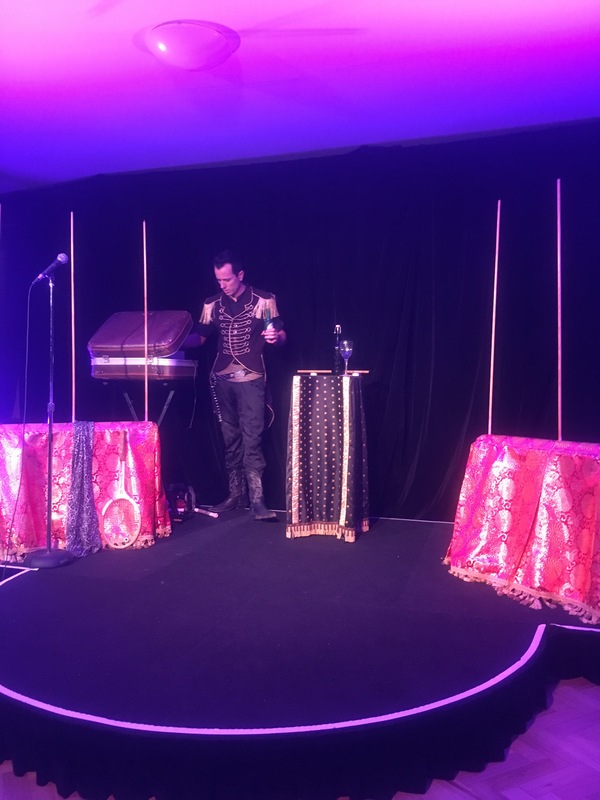 Idris’ show was well structured and included items I’d come to expect from vaudeville shows – juggling, comedy and even a bit of magic were all included – however Idris has this flair that I find hard to describe. He is very much the rockstar of vaudeville, and including a segment of air guitar during his show proved that to me. I very much enjoyed his comedic segments, which were a mix of stories and personal observations (especially about human nature and technology) as well as his use of drama / dramatic fades and hilariously elastic facial expressions. Idris reached out to his audience, and used audience reactions and participation to create some especially hilarious scenes on stage. I can only describe the finale as gripping but it was a fantastic finale indeed – I simply do not know how he does it! Idris Stanton is a rockstar of many, many talents. Idris Stanton’s show really is a glorious mash up of physical comedy, echoes of rock concerts and vaudeville stunts. I loved every minute, and I can’t wait to see another solo show from him. They always say ‘leave the audience wanting more’ and Idris certainly did that. VERDICT: Thoroughly entertaining, wish I could have seen it twice or at least brought friends along! If you hear the name Idris Stanton, please do make an effort to see his show – I’m sure you’ll come away entertained and impressed. All hail the Last King of Vaudeville!